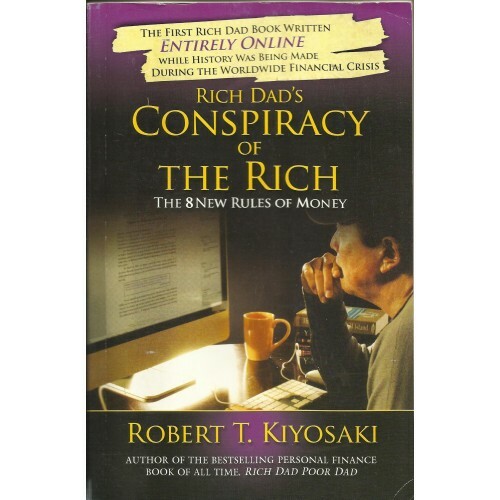 In late January, 2009, Robert Kiyosaki launched CONSPIRACY OF THE RICH - a free online book which was written in serial basis to help people understand how the current recession came about, and what they need to learn on how to survive through the coming rough years. An unprecedented publishing event for Kiyosaki and The Rich Dad Company, CONSPIRACY OF THE RICHis an interactive, "Wiki-style" project in which Kiyosaki has invited feedback, commentary, and questions from readers across the globe. The response so far has been totally fantastic. Millions and millions of readers have flocked to the website (www.conspiracyoftherich.com) to read what Robert has to say about the recession, and the readers have posted thousands of comments. Some of those reader comments will even be included in the final tradepaper version.